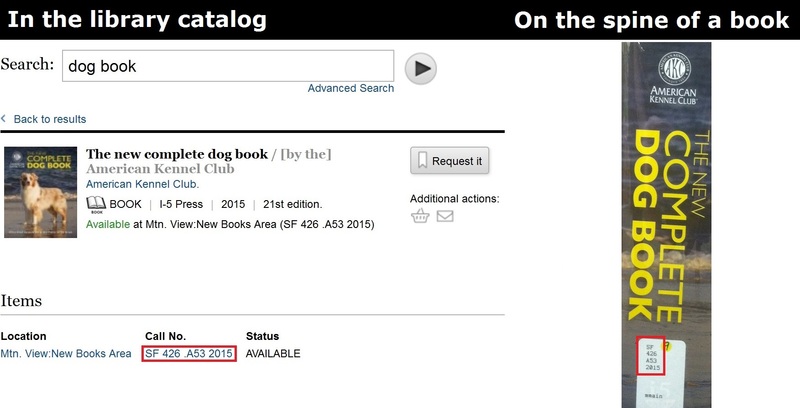 When you look up a book in the Library's online catalog, the call number listed for a book is how you will find it on the shelf (shorter books may have their call number in the bottom left hand corner of the cover). 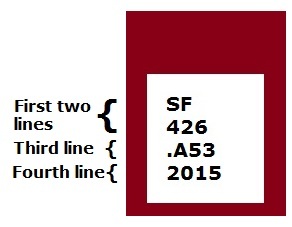 The call numbers are arranged alpha-numerically. The third line often represents the author's last name or the beginning of the responsible group's name. College and university libraries use the Library of Congress Classification System to organize their books, DVDs, and more. The benefit of having a standard classification system is that no matter what academic library you go to, your research subject should be in the same call number range.